A fun, action packed adventure for the whole family based in the beautiful Pioneer Valley. Mountain Bike the great divide, kayak with Barra on Teemburra Dam, run with butterflies in the rainforest near Cattle Creek and road ride past historic cane farms. 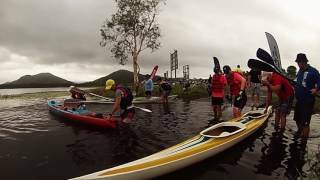 Mountain bike, trail run, kayak and road cycle though the majestic Pioneer Valley in Mackay's only multisport adventure challenge. 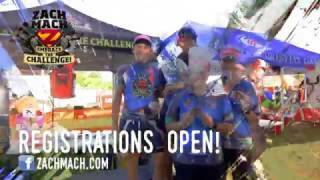 The Zach Mach is an adventure race that celebrates the life of an outstanding young man, Zach Roberts. Zach was an adventure racer and a much loved student at Mackay Christian College who tragically passed away in an accident at the age of 18. Mini MACH: Mountain bike, Creek Crossing, Run, Mountain bike (Return). Full MACH: Categories (Solo, pairs, relay teams) Stages (Mountain bike, Kayak/Canoe, Trail Run, Road Cycle).